The 2014 World Leaders Conference is focusing on "Traits of the Servant Leader." Here's a recap of day one of the WLC. Marcus Buckingham: Servant leaders focus on strengths. People don't change that much. Don't waste time trying to put in what was left out. Draw out what was left in. That's hard enough. Buckingham is a data head that can transfer data to useable information; he also translates it into data tools such as the StrengthFinders and StandOut assessments. Marcus shared the three questions that explain 90% of the variation between the best and worst leaders. At work do I have a chance to do what I do best everyday? The best team leaders have cut through the clutter to help their team do what they do best. The ritual that separates great leaders from good leaders is this: Great leaders ask two questions of their team members every week: (1) What are you doing? (2) How can I help you? Are my colleagues committed to quality work? The best leaders bring excellence to life: by expressing values, through key company rituals, by sharing stories, and by talking about heroes. Team members want their leaders to (1) Know me for what I do best, (2) Focus me on what I do best, (3) Surround me with people who share my values. Adviser: These are practical and pragmatic people. The first question they ask is: "What is the best thing to do? Connector: They are resourceful. They ask, "Who/What can I connect with who?" Creator: Creators need quiet time. They ask: "What do I understand?" We follow creators because they make sense of the world. Equalizer: The Equalizer asks: "What is the right thing to do?" Influencer: They bring momentum. They help us go places. They want to know: "How can I move you to action?" Pioneer: They ask, "What's next?" Provider: They want to know, "Are you okay?" Stimulator: They read momentum in groups and on teams. They ask: "What do I do to raise the energy here?" Teacher: They lead with questions. They want to know, "How can you/I learn and grow?" Buckingham stressed that there are no perfect profiles, there are only perfect practices that fit your profile. "Leadership is discipline for a lifetime." "No company has one culture." Pick your strategy. Recruit for your strategy. About The Tea Cup Generation: "I know you are unique. Be useful!" "You can never fire people too early." (Buckingham shared this quote at lunch. It came in response to a question raised about firing employees. The source was a seasoned leader he admired but did not name). Patrick Lencioni: Servant leaders develop healthy teams. Pat Lencioni helped us focus on building a healthy team. Using insights from The Five Dysfunctions of a Team, he addressed three of the five dysfunctions that keep teams from functioning at their best: Absence of Trust, Fear of Conflict, and Avoidance of Accountability. "If one member of the team cannot be vulnerable, it spreads like a disease to the rest of the team." "The best leaders know and acknowledge who they are." "If we don't have conflict over issues and ideas it ferments into conflict with people." "Behavioral accountability always precedes results." "Healthy is more important than smart." We quantify things to improve the quality of things. Bad organizational math: Not calculating the impact of the bad attitude someone has toward the team. "Humility is the #1 trait of a servant leader." Susan Cain: Servant leaders must understand their personality. Susan Cain is the author of Quiet: The Power Of Introverts In A World That Can't Stop Talking. She focused on creativity and problem solving. Doug Conant -- known for writing 30,000 personal letters during his tenure as CEO at Campbell Soup Company. He had a great combination of quietness and determination. Gen. Charles C. Krulak -- Not the kind of leader “out there waving a banner and riding a white charger.” Click here for Cain's article in the NY Times, "Must Great Leaders Be Gregarious?" Your prominent introverts should talk openly about their quiet sides. Make breaks, solo walks, naps, and meditation part of your day. Bridge the participation gap between introverts and extroverts at meetings. Give people breaks, create structures to allow people to talk openly. Charles Duhigg: Servant leaders understand the power of habits. Charles Duhigg is a Pulitzer prize winning staff writer at the New York Times and the author of The Power Of Habit: Why We Do What We Do In Life & Business. When we get into the grip of a habit our brain shuts off. Some habits matter more than others. 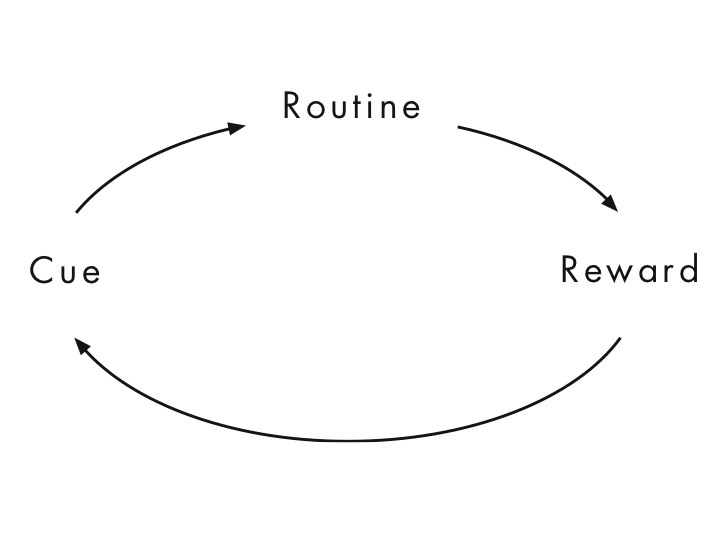 Keystone habits, such as daily exercise, communicate self-image and propel us more than others. Duhigg used the Marshmallow Study Video to illustrate research that demonstrates that will power is the greatest corollary to success. The Starbucks LATTE Loop Habit: Listen, Acknowledge the problem, Take problem-solving action; Thank the complainer; Explain what you've done. The most powerful rewards contain (touch) the emotions. The most powerful rewards are experienced in groups. Paul O'Neill when CEO of Alcoa, "Culture is habit." "The habits we live by become the culture we live in." Identify your your emotional rewards. Remember that change is easier in a group. Be a person of the Word. The Bible is the greatest leadership handbook. Be learning and growing. When asked why he has been so successful, Blanchard said, "I've always been learning and growing." He said, "Learners will inherit the world." Be bold. Blanchard bet $350 million and 5 years (the future of their company) on credit card processing technology. Today they have 85% of the credit card processing market. Be yourself. There is no pretense with this man. Be a person who honors your spouse. Blanchard certainly exhibited that. Erwin McManus: Servant leaders create their future. Erwin McManus is an artist, filmmaker, author, storyteller, activist, innovator. His latest book is The Artisan Soul: Crafting Your Life into a Work of Art. "Bees create hives, ants create colonies, but humans create futures." What imagination has been waiting inside of you? When humans loose a dream they often don't step into a new one. The church holds onto the past while preaching that God is the God of the future. You are imagined to be an imaginer. You are created to be a creator. Re-read the stories of Elijah in 1 Kings 18 and James 5, "I hear the sound of heavy rain" though there was no cloud on the horizon. God is looking for men and women who can see a world that does not exist. It is my job as a leader to press you ..."
Dr. Martin Luther King III is the oldest son of Dr. Martin Luther King, Jr. and Mrs. Corretta Scott King. He has been and is an advocate for equality and justice for all people. “Life’s most persistent and nagging question is ‘What are you doing for others?’” Dr. Martin Luther King, Jr.
"The arc of the moral universe is long, but it bends toward justice." Martin Luther King, Jr. When asked, "What are you most proud of your father?" He said: "He was a father. He gave us quality of time. He taught us to love ourselves, our family, our community, and to love our God." Set an example of caring and compassion. Expand the spirit of good will. Expand our own life with meaning and purpose. Day One of the World Leaders Conference was fantastic. You can click here for more. "People don't change that much..." from First Break All The Rules, pages 57, 79.